UN officials and right to life activists in Iran have called upon Iran to stop the execution of a Kurdish prisoner who has reportedly not received a fair trial and has been tortured in prison. The impending execution of Ramin Hossein Panahi who was arrested on 22 June 2017 in Sanandaj for alleged membership in Komala, a Kurdish opposition party, has been the subject of much protest both from rights activist in Iran and United Nations human rights experts. Iran’s Supreme Court has approved the death sentence issued for this jailed Kurdish activist. In January Panahi was tried for acting against national security and sentenced to death. Panahi’s lawyer has questioned the fairness of the proceedings; however, the appeal to the Supreme Court was unsuccessful. Ramin is now sentenced to death by hanging. Panahi reports that his brother has been a longstanding political activist in Iran. He was involved in political efforts to release his elder brother Anvar Hossein Panahi, as well as to uphold the rights of other political prisoners. He adds that Ramin collaborated with the Campaign to Defend Political Prisoners Rights as well as Human Rights Defenders of Kurdistan. He was reportedly under continued investigation by the authorities. After several interrogations, he finally decides to leave home and move to Iraqi Kurdistan. Panahi adds that his brother joined the Komala Party while he was in Iraq but returned to Iran in July because his mother was suffering from health problems. 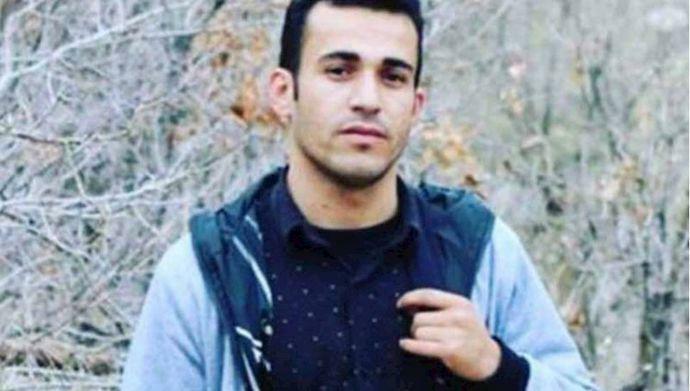 Amjad Hossein Panahi indicates that while traveling to Sanandaj with two other activists, his brother’s car is attached by Revolutionary Guards forces. First, the officials had alleged they were involved in armed conflict but it was later proved that Panahi and passengers of his vehicle were not carrying any arms. Panahi maintains that the coincidence of the recent widespread protests across Iran with his brother’s court proceedings has adversely affected the verdict of the courts and resulted in the issuance of the death sentence. He adds that the Intelligence Ministry in Kurdistan and the Revolutionary Guards have specifically called for a death sentence in his brother’s case. Amjad Hossein Panahi reports that in Kurdistan the public has engaged in unprecedented widespread protest against his brother’s death sentence. He described actions such as a statement from 96 activists and former prisoners, letter of protest from 32 scholars and former MPs and widespread protests in social media. He adds that outside Iran a letter has been signed by two thousand activists to stop the hanging of Ramin Hossein Panahi. The European Union, the German Foreign Office as well Asma Jahangir the late UN Special Rapporteur are also among the protesters of Panahi’s death sentence.